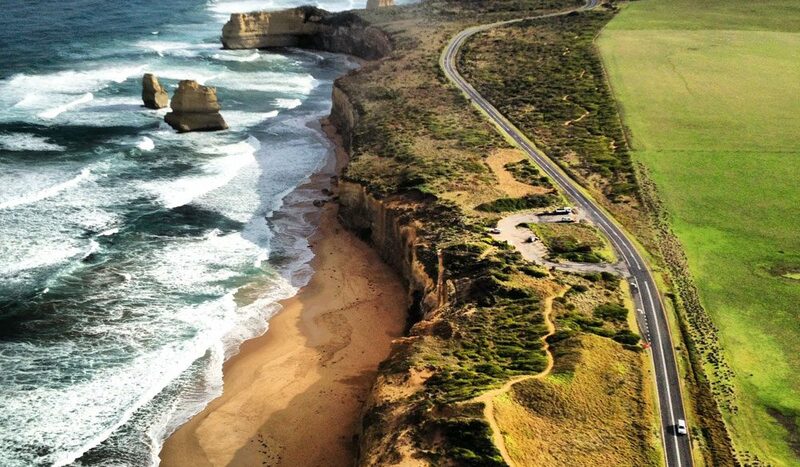 Great Ocean Road, Vic,sweeping beach-scapes and still quaint seaside towns. It’s one of the most iconic experiences you’ll find in Australia, but unlike so many world-famous attractions, the GOR hasn’t fallen victim to its own popularity. Expect sweet little towns (like Port Campbell), ‘appropriately developed’ beach gems (like Lorne) and, as well as the magnificent apostles, the beauty of ‘lesser’ locations like Loch Ard Gorge. Fifteen minutes off the great road itself, you’ll find The Ridge Organic Food Store & Café. The food is the best in the region, and the views from their modern, wooden shack are equally good. You’re welcome.